For an industry where the companies that play it safe run the risk of immediately blending in, this divisiveness has become a secret weapon that’s most valuable in attaining. And that’s exactly what the Google Pixel 2 and Google Pixel 2 XL are attempting to do. Case in point: Last year, Google was quick to point out that its debut smartphone had what Apple’s seventh generation device didn’t: a headphone jack. Conversely, of the things that the iPhone 7 had that the Pixel didn’t: waterproofing, headphones included in the box, and on the iPhone 7 Plus, a dual-lens camera. More importantly, the iPhone of the time had an imperceivable quality that Google’s formula lacked: controversy. The huge stir created by Apple’s seemingly small, but radical feature shift away from the trusty 3.5mm jack got people talking, even if a lot of the talk wasn’t always positive. Now, a year later, the Google Pixel 2 (based on often-repeating rumors) seems to reflect Apple’s 2016 moves. The latest Google phone will reportedly be waterproof and ditch the 3.5mm headphone jack. And based on the community’s response to these changes, aiming to achieve a similar whiff of controversy is working. I’ve seen people swearing off Google’s new phone even before it releases and to be honest, I understand the frustration. As someone who uses the Google Pixel XL as my daily driver, I’m not a fan of the idea that Google may be stripping away features in its search of a spark. Controversy is exciting, even for those who aren’t partaking in the purchase of a new smartphone. But as we’ve seen with Apple’s lineup, which has now moved into the iPhone 8 and iPhone X, the shock-factor fades after some time. People who were torn on a missing headphone port are still torn, while everyone else has bought AirPods. However, Google’s big changes aren’t really that shocking. That’s because, as we’ve written about at length, the Pixel 2’s removal of the headphone jack actually makes at least some lick of sense. Equipped with Android Oreo and its knack for high-quality wireless codecs, this push could carve out a much-needed pocket of the market dedicated to affordable, audiophile-grade (or close to it) wireless headphones. Another example sees Sony’s donation of its proprietary LDAC codec in Android Oreo as a strong indication that Google’s and its partners’ are committed to going hard on wireless. It instills confidence in a business decision unlike Apple’s meager claim of “courage” in removing the headphone jack. 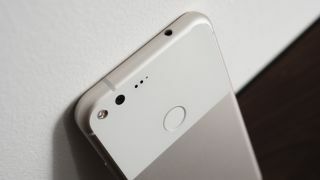 If the Pixel 2 and Google Pixel 2 XL arrive as we suspect, I’ll certainly be happy about the waterproofing measures, but less so about the lack of a headphone jack. I live and breathe music, and in their current state, the wireless listening experience in New York City is frequently interrupted by the myriad signals bouncing all around. It’s a nightmare. That said, I still plan on picking one up. Why? Because I want to see how the wireless headphone market adapts, and also because the Pixel has arguably the best smartphone camera in the market. I trust its sensor to pick up every last detail beautifully, going as far as using it as a dedicated camera replacement. And the camera alone will make the Pixel 2 worth it to me. When it comes time for Google’s big announcement, I think it’s okay to be skeptical by these changes. But personally, you can take my wired headphones. Just give me the best camera around and I’ll be happy.